The location of the boattail (BT) is shown in two graphics. It attaches to the bottom of the engine section barrel; as seen in the right-hand graphic, the RS-25 engine powerheads sit in the boattail volume just below engine section. Credit: NASA. 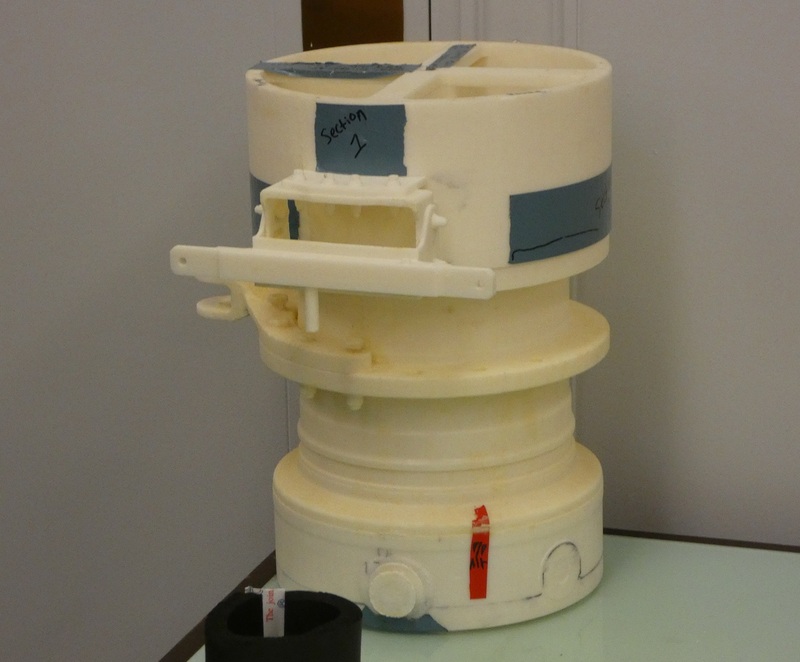 A 3-D printed model of a cryogenic part in the engine section. Molds are also 3-D printed to fit around bolted flanges like this and then foam insulation is poured into the mold and allowed to set. Credit: Philip Sloss for NSF/L2. 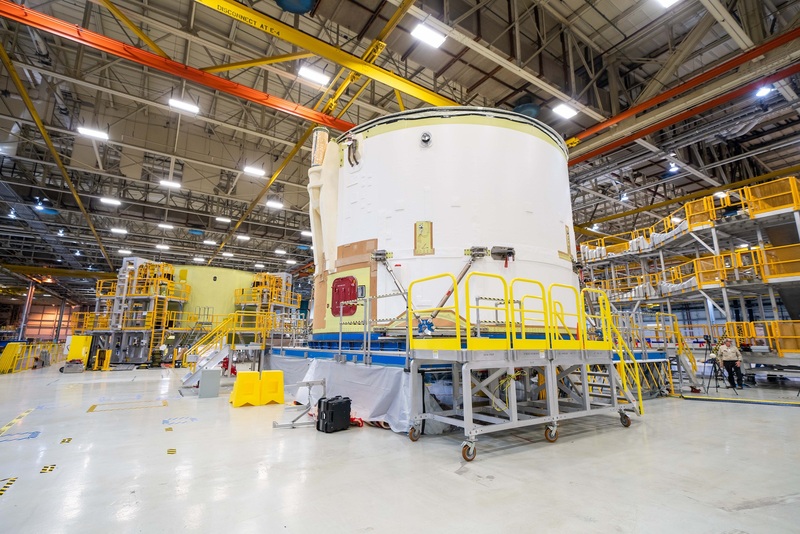 The Green Run campaign was planned both to acceptance test the stage and verify Boeing and NASA’s analytical modeling of how the rookie SLS stage performs with veteran Space Shuttle Main Engines, now called RS-25s. 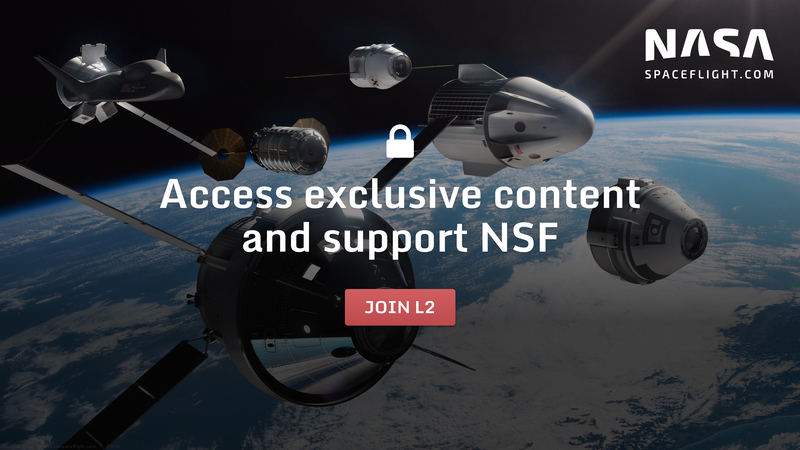 Core Stage-1 is the first working stage article, and six months was allocated in the schedule to run the stage through activities being performed for the first time in the program, such as cryogenic propellant loading, and a full, eight-minute flight duration firing. Eliminating the Green Run testing (which could take longer than estimated), skipping the trip to Stennis, and taking the new stage directly to Kennedy Space Center would significantly compress the schedule. Prior to completion of the OIG audit, NASA had studied substituting a brief, five-second static fire of the Core Stage on the launch pad at KSC for the eight-minute long full duration firing at Stennis; the stage would be stacked with its SLS Boosters on the Mobile Launcher for the test, also referred to as it was in the Space Shuttle Program as a Flight Readiness Firing (FRF). 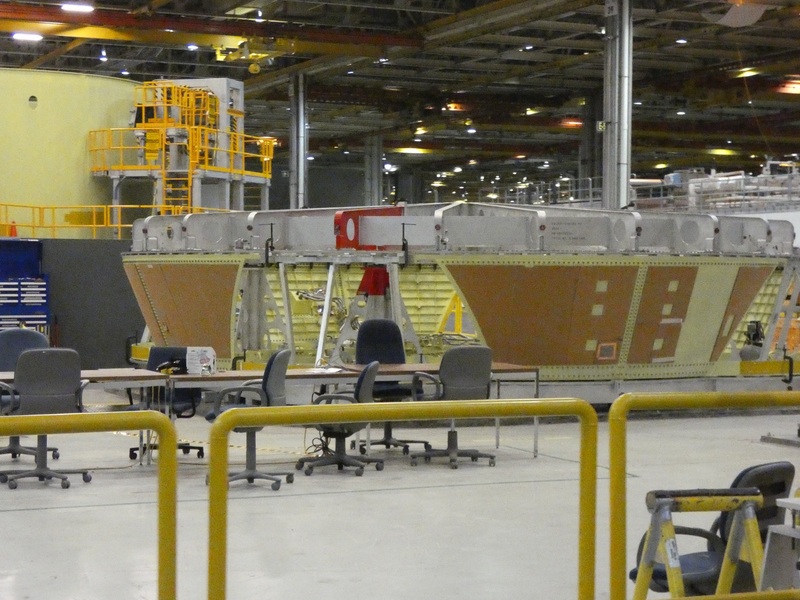 The boattail assembly for the first Core Stage at MAF in August, 2018. Credit: Philip Sloss for NSF/L2. 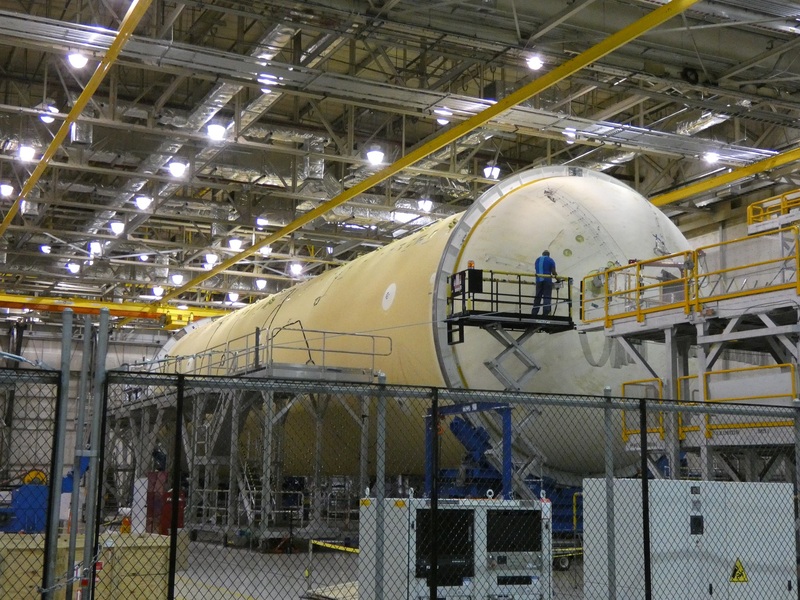 Core Stage-1 liquid hydrogen tank in the Final Assembly area at MAF on February 28, where additional standalone ‘get-ahead’ work was being done. Credit: Philip Sloss for NSF/L2. Lead image credit: NASA/Steven Seipel.